There have been some reports of bans using this script. You are using this at your own risk. I've taken all the precautions necessary on my part so I'm not going to be held responsible for bans. When I start the script, it clicks on the log and just sits there..
What log types are you using? And can you send me a picture of the error? 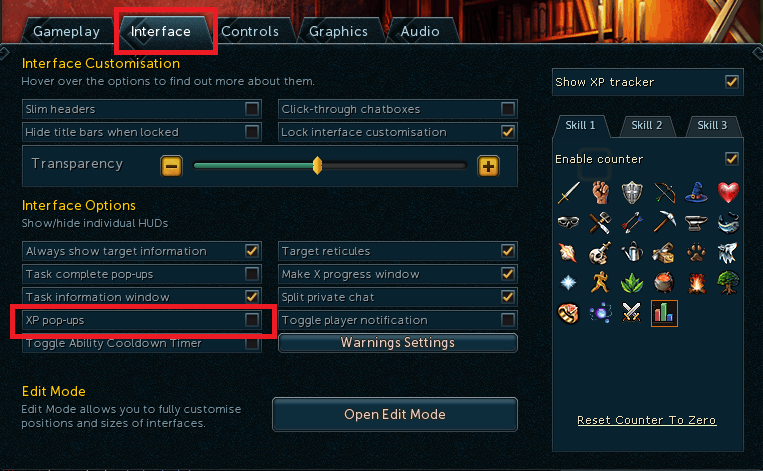 add edgeville or burthrope support? Did you fixed the spirit problem??? Or problem... It would be nice if it's added. still one lil bug... If there's spawned a spirit at the time it wants to bank. The banking goes first and when it's done banking/getting logs it goes back with using logs on the fire and leaves the spirit alone. Idk maybe u can fix that? idk man hahah could be nice but nice effort man thanks for listening! Should check to see if theres a spirit first now, let me know if that works. It doesn't collect the spirits at all now >..> idk wut happend xd i checked for you now. 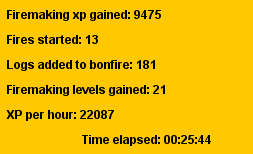 Seems to be working fine at the GE, just start at the tile you want to light fires on. is the script working rn? Yeah it works, start on the tile you want to make fires on. this bot works great you should make it pick up the fire essance or whatever than shits called you know what i mean?